With regards to thickness, opinions diverge, some say it will be very slightly thicker to accommodate the increased demands of the new screen or bigger batteries, others say that despite the increased capabilities it will still be thinner. A recent report by Bloomberg has added the possibility that the iPad 3 could also offer fast 4G LTE connectivity, a first for an Apple product. 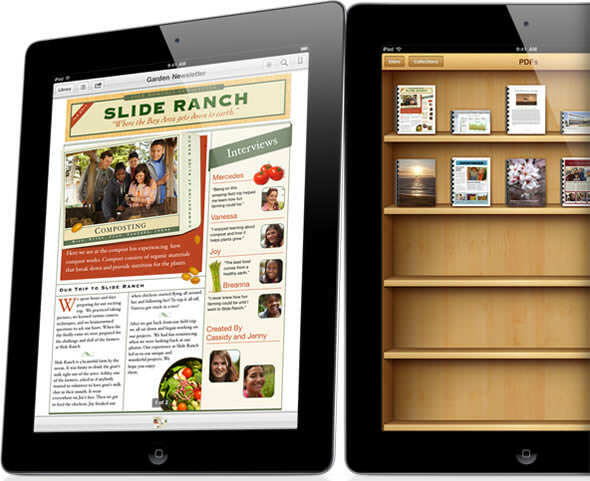 Fast forwarding to the news today, a Japanese Apple publication, Macotakara, is claiming that according to Asian supply-chain sources and a U.S. source, Apple is preparing for a special iPad 3 and iOS 5.1 event in February. Bear in mind that the same publication told us of an iPad 3 launch back in September 2011, and that obviously didn’t happen. Anyway you cut it, the iPad 3 is coming and all bets are on that it will happen in the coming months. The announcement will also mark Apple’s first major product announcement after Steve Jobs‘ passing. Next story Samsung promises full day battery life for 2012 smartphones; hallelujah!